The remuneration you have when you see a smile of serenity and gratification on the sufferer’s visage, only a Doctor can tell you, and he is the only one who can relish those feelings. This contentment of healing the sufferer is the real essence of this gallant profession. Doctor is a symbol of hope, sympathy and above all ‘Life’. It’s not a conventional profession one may plunge into for wealth; these people are the chosen ones I believe. This is something that makes it the noblest of the professions. But are the present day doctors up to this spirit? I am afraid the answer is certainly ‘No’. The word ‘Doctor’ is certainly at the verge of losing its dignity because of some people who have made it more or less a ‘Trade’. The patients are somewhat customers to them and it has maligned the repute of this profession to that tangible a magnitude that some people are now even reluctant to go to doctors. It's another TEAM TROPHY, Ladies and Gentlemen! 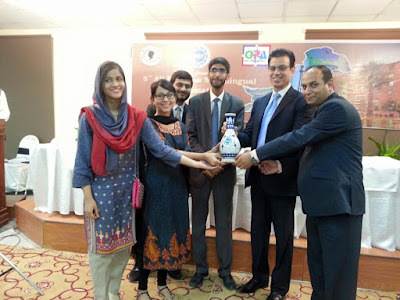 KEDS wins team trophy at UMT Declamations 2015 with the youngest team ever in the history of KEDS to win a trophy. Numra Uroojwinning the 2nd position in English (serious) category with her fearless style and flawless delivery of speech. She is on a winning streak since last few tournaments and carried the form today. Deserved it big time! AndFatima Ahmed, 3rd Position in Urdu (Humorous) category! The quality humor and her priceless expressions were a treat to watch and were appreciated a lot by the crowd and adjudicators. It was her first ever competition outside KE; Already turning pro Fatima, MashAllah. AndSyed Ahmad Razadeserves a special mention here. With his proff in less than 2 weeks; he worked tirelessly with our champions from writing the speeches to polishing their delivery and accompanied them too on both days. Alhamdulillah, such a pleasure to see KEDS flying so high. Keep it up everyone. One question bothers me the whole day in prof, and that is not whether I would be done by my timetable wala kaam by the end of the day, no sir, what bothers me the most is ; "Will I be able to sleep at night?" Usually I am so adrenaline pumped up during exams, that I would be mentally drained by six in the morning (the time I usually go to sleep ) and yet neend would be qoson door. Never in my three profs at K.E have I ever slept a full hour before any written or any viva, cause I just can't. But I have, nonetheless figured out a few ways to cut down on the anxiety insomnia. A hydrated brain is more likely to go into hibernation with ease. Hello, dear juniors. I welcome you to “THE” King Edward Medical University. 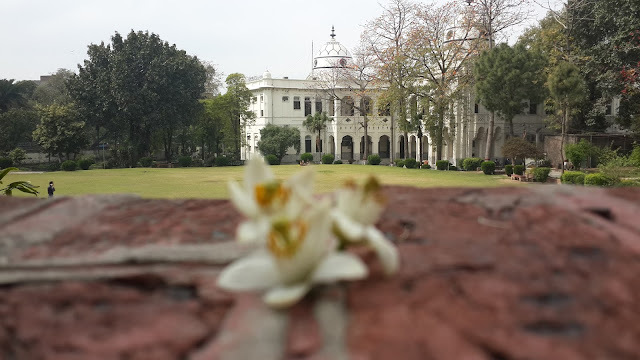 I’m sure you guys have had quite a lot of fun in the post-MCAT holidays and you still cannot believe that you’ve made it to the dream University of Millions of students in Pakistan. Well, you have! Congratulations! You now know that you have what it takes to rise above the competition and that is great!